Tasty traditions have always been served up in Jean Cates and Sue Cunningham’s family. Born in Turkey, Texas, the sisters learned what it meant to be real cowboy cooks thanks to their father. 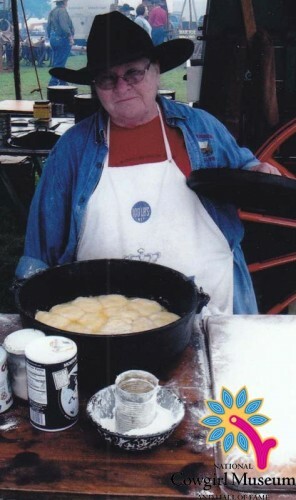 They began the C-Bar-C Chuckwagon and made history in 1992 when they walked away with the winnings at the Western Heritage Classic Cook-off in Abilene, Texas, as the first women team to claim the top honor. In 1996, they were awarded the American Cowboy Culture Award presented by the National Cowboy Symposium and Celebration. They were also named Chuckwagon of the Year by the Academy of Western Artists.